Virtual reality (VR) was the hot topic at last January's Consumer Electronics Show (CES) in Las Vegas. There were elaborate demonstrations where people could try out the headsets and supposedly be transported to another world. Since then, things have been relatively quiet on the VR front. Consumers, it seems, prefer this reality to a virtual one. But an industry report from Super Data Research says there may be other factors beside a lack of interest from consumers for VR's admittedly rocky launch. It cites initial supply constraints that limited access to headsets like the Oculus Rift, constraints that no longer exist. The report's authors predict sales will increase this year in to nearly $5 billion, than surge to nearly $38 billion by 2020. "Already the market is solidifying as consumers become increasingly aware of, and comfortable with, the devices," the authors write. "Light mobile headsets like Google’s Cardboard will see 30% reduction in shipments in 2017, while premium devices will triple." Once better hardware is available, the report claims, the software will come along to win over consumers. But a report by The Wall Street Journal suggests there could be other obstacles. It cites a report by Thrive Analytics suggesting consumers have been put off by a lack of content, fear of motion sickness, and the price. PC Magazine recently rated the best VR headsets, noting the hardware runs a wide range of price points. Among the top vote-getters were the HIC Vive, priced at $799, the Oculus Rift at $499, and the Sony Playstation VR, at $399. But also winning high marks, with much lower price tags, were the Samsung Gear VR, at $199, and Google's Daydream View, at $79. The Samsung product won praise for its ease of use but was downgraded for its content. Where VR might see the most explosive growth, however, is not in the consumer market but among industries that can employ it for training purposes. Kalorama Information reports the healthcare industry in the United States has been an early adopter, with VR spending going from $525 million in 2012 to an estimated $976 million in 2017. The technology is being used to allow medical students to operate on virtual patients. "The term 'virtual reality' is used in different contexts," said Kalorama analyst Emil Salazar, who authored the report. 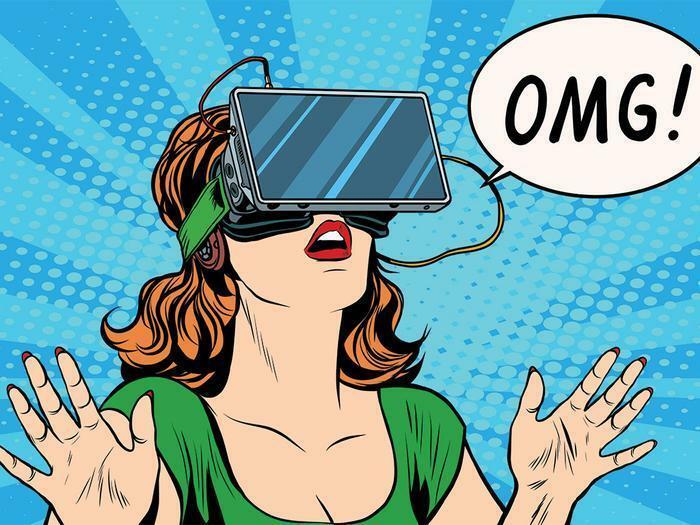 "Broadly, virtual reality is the means or capability to visualize and manipulate, or otherwise interact with, digital data representative of a real-world entity or environment." The report predicts increased use of VR and augmented reality in medical training, as well as aids in surgery, physical rehabilitation, and pain management.